The festival has it all: awesome food, the beautiful hand made crafts, the innovative products, local businesses, non-profits and the Vashon Artists. 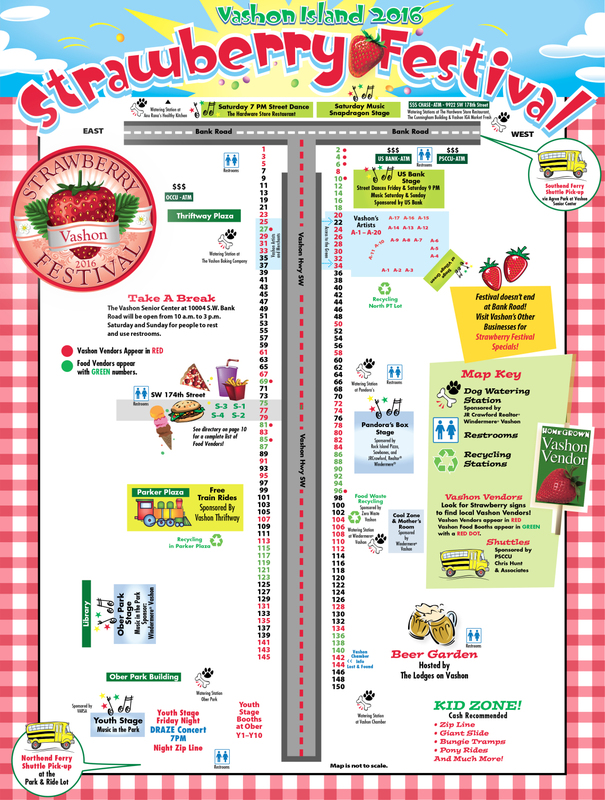 Check out the map and vendor list to find this year's offerings. 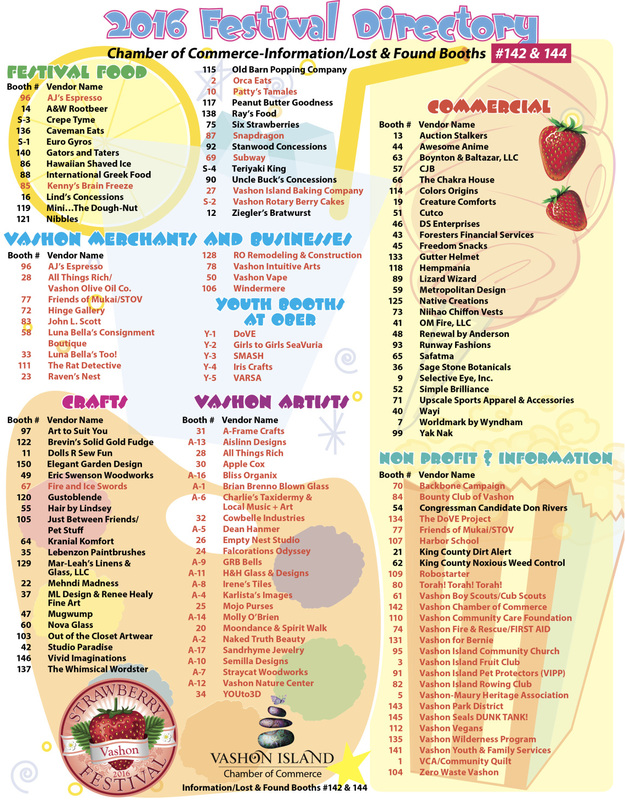 You can get your own paper copy in the Wednesday July 13th Vashon Beachcomber or pick one up at the Chamber of Commerce booth at Festival.